Save yourself the clicks and put your DIY wool topper project in the cart with this kit containing all your supplies. 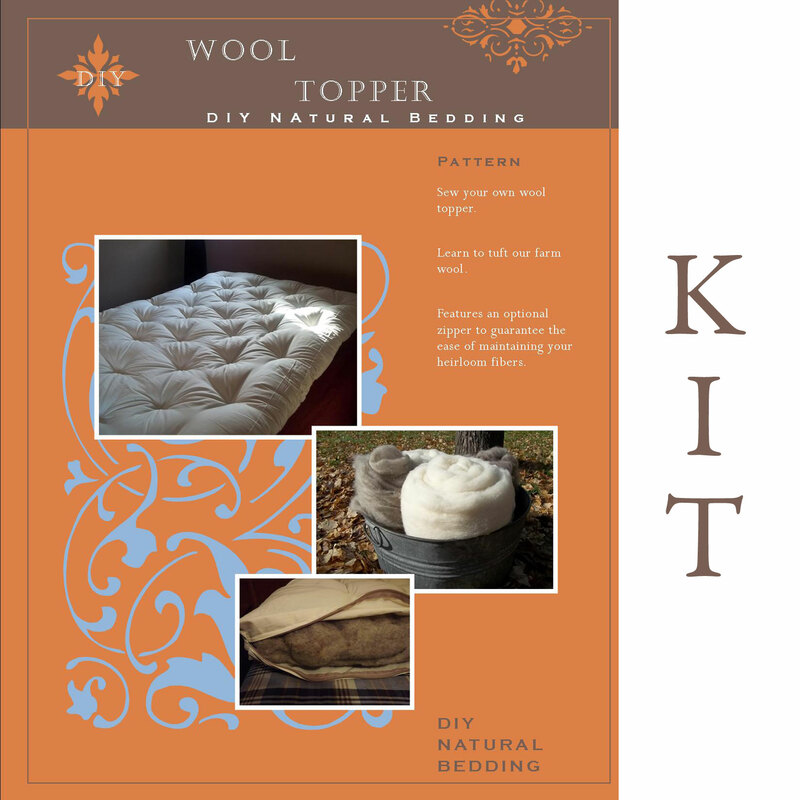 This wool topper kit is 3″ high when freshly lofted, the same height as our premade one. It will compress about 30% to a smooth, comforting topper. This wool topper pattern uses pictures as well as directions, dimensions and pictures to explain how to sew a wool topper for your bed. 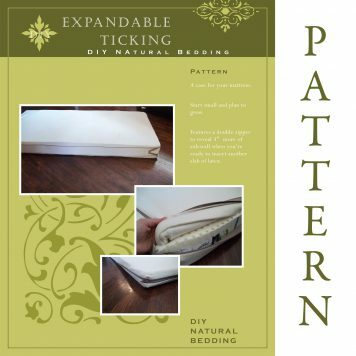 The pattern is easy to follow, especially if you skip the optional zipper step. It covers how to sew the fabric, how to layer the wool batts inside, and where to place your tufts. The fabric may be hand sewn; a machine is not needed. 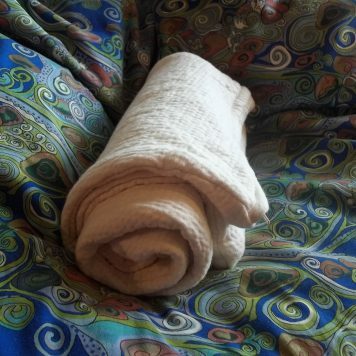 The two-sided zipper option is included in the pattern so that when you reloft your wool in 8 years, instead of unstitching two seams, you merely unzip it and untuft it. 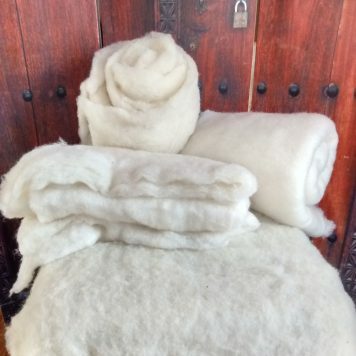 Then you send your wool to a mill for rewashing and carding. When it comes time to reassemble, all you need to do is layer the wool inside, zip it shut and tuft again. The pattern will be available in the receipt emailed to you or from your account if you create one during the checkout process. It is highly recommended that you print it in color, so you can see the details of the pictures. 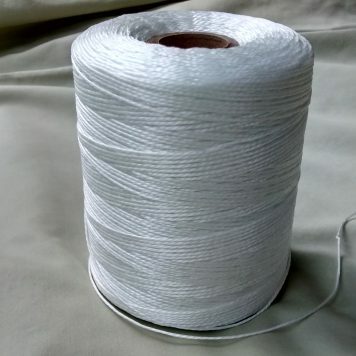 The fabric size below is included in your kit as well as the twine and optional zipper (if chosen). 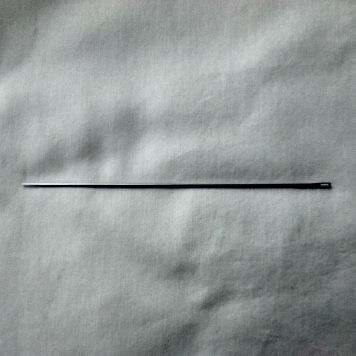 The 5″ tufting needle is also included.